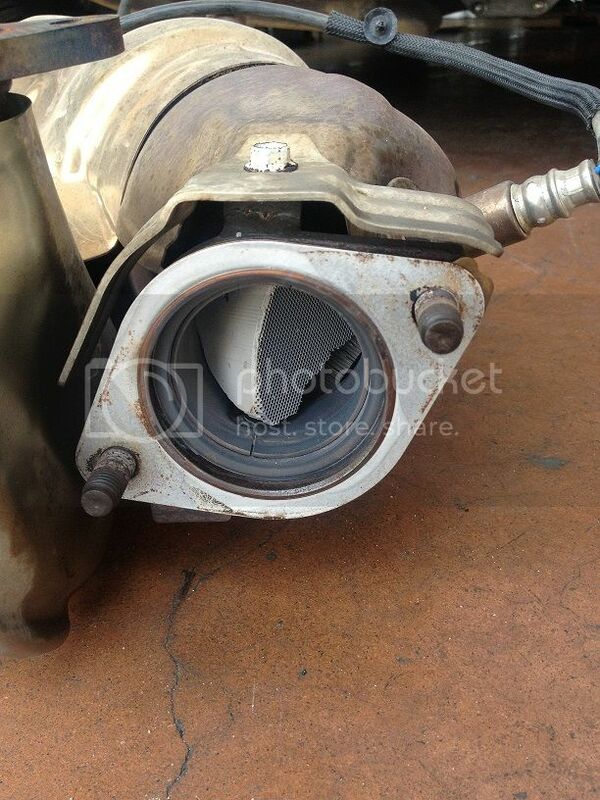 The CSG BRZ suffered from the injector seal failure that is frequently mentioned. Here are some threads regarding that. This is not the first time we've had the misfire/popping. We've actually had a full engine replacement last year when the original engine had the same initial symptom. At that time, we had taken the car in to Irvine Subaru; they were very accommodating of the unusual symptom on our car. This time around, Palm Springs Subaru (Desert Subaru?) was the closest dealer, and were told over the phone that we would need a CEL before we came in to avoid a diagnostic fee that would be need to paid out of pocket. They were unwilling to diagnose the symptom, even though it was thoroughly explained over the phone. After the engine died, we had the car towed back to our original dealer, Irvine Subaru. They are, of course, at the mercy of the tech line, and per Subaru of America, they asked for a service record on our car, which was provided. They then proceeded to take off the oil pan per Subaru's instructions, and at that point, we were informed that there was "metal all over the place" and that the engine would not be warrantied due to track use. Contact with Subaru of America was initiated, and the exchange was unfortunately unproductive. In short, they are denying us warranty coverage because the car was "used for racing". At this point, I'd like to point out Subaru's marketing materials. With 2+2 seating and a folding rear seat, there is sufficient cargo space to transport four race tires and tools to track days. Seeking a pure sports car for road and track driving, Subaru followed a purist approach to engineering the 2013 BRZ. Drivers who enjoy slalom or track events can also fold the rear seatback and have room for four wheels, a helmet and basic supplies and still have room for the front passenger. Here's an e-mail from the Subaru of America rep that our case was escalated to. 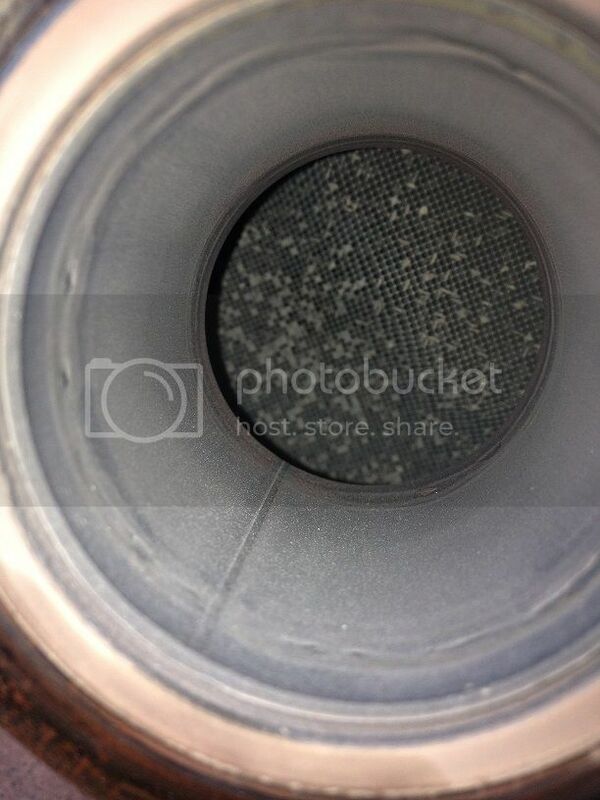 Irvine Subaru can show you the metal throughout the engine. Again, our position in regards to this failure is that it is a result of the vehicle not being driven as the design intended. We have found evidence to indicate this vehicle was raced at Willow Springs International Raceway and the damage to the engine is indicative of racing. We need to reiterate that Subaru of America’s position is the engine failure is not a matter for warranty, it is a customer pay issue and our position is not going to change. We are sorry this is not that answer you may have expected. According to the marketing materials and press release, Subaru seems to imply that the car is designed for track days. We're certainly not RACING; the car doesn't meet the safety requirements form any sanctioned racing, and does not see that type of activity. Both the engine and all safety components are and always have been stock. Is our car driven hard? Most certainly. Do we track it? Of course! Have we done anything to alter the parameters of the drivetrain? Absolutely not. We're using the car as designed, at least, according to their press materials. We would disagree that the vehicle taken to the track is irrelevant. A situation such as this is noted on Page 7 of our Warranty and Maintenance Booklet that came with the vehicle. 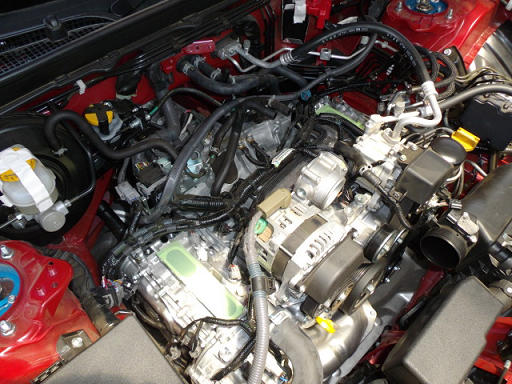 Irvine Subaru can show you the engine damage. It is our position that the metal throughout the engine is due to racing the vehicle. As previously indicated our position in this matter is not going to change and we are not offering financial assistance towards the repairs. Is this warranty coverage denial justified? Apparently our cats are both destroyed. Now what could cause that....? I'll be dropping by the dealer on Monday to get more pictures of the additional teardown. Someone else at Subaru of America (not Bill, the rep I was talking to) authorized more teardown. It seems one cat MELTED a bit (has a pretty good sized "dent" in it, but it's smooth), and the other cat is falling apart. 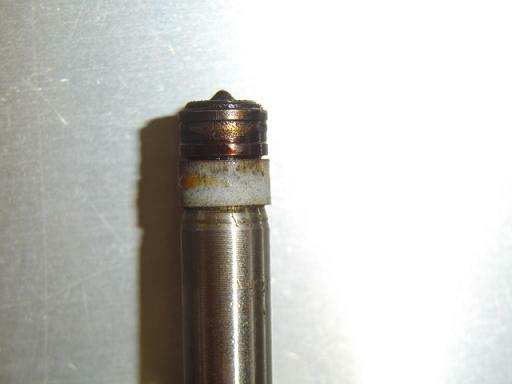 Collar completely gone and injector... scorched? Last edited by CSG Mike; 08-22-2013 at 07:26 PM. ***DISCLAIMER: This post is in no way, shape, or form legal advice or counsel. I figured a public discussion of some issues might be of some benefit to the members here. 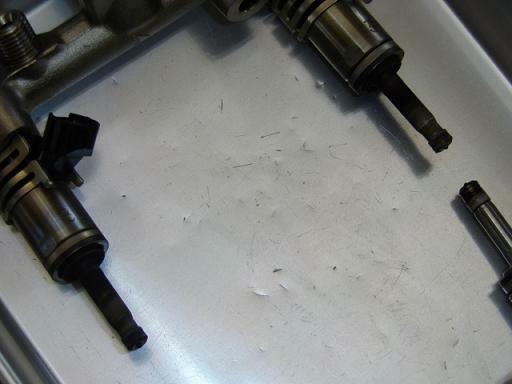 1) If the problem which ultimately caused your engine to seize is later found to be a design/manufacture defect or flaw, then your position is suddenly much stronger here (worth mentioning since Toyota has attempted to remedy certain issues with the FA20 via the latest tsb regarding engine software/calibration). The problem is proving the cause (Magnusson-Moss comes into play here) of the engine seizure with respect to any intervening/superceding factors such as your "spirited driving." So was the cause of the engine failure your driving, the modified suspension and tire components, or the potential design/manufacture defect (factory tune, injector parts and functioning)? That is the major question here. 2) The fact that Subaru's press/marketing materials tout and encourage performance use of the BRZ (despite their somewhat contradictory warranty and user manual statements) is a potential avenue to be explored as well. In a sense, Subaru is marketing the product one way, and then refusing to honor a "reasonable" if not intended use of a sports coupe. 3) The fact that Subaru previously replaced your motor under warranty after similar driving conditions may come into play as well. Was this move an act of "good will" on behalf of Subaru, a waiver and acceptance of your spirited use of the vehicle, or was it an indirect concession that there are unresolved issues with the FA20? 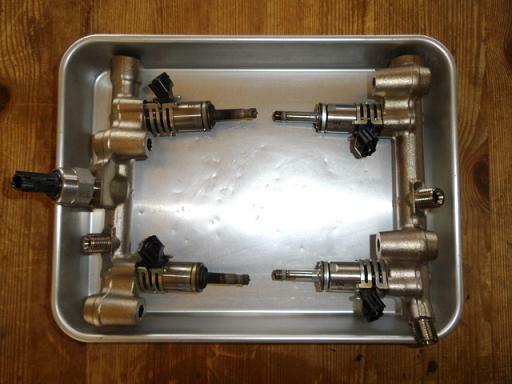 4) As you said, another issue worth noting is that the drivetrain was stock. Now if you had an intake or aftermarket tune (which can cause a lean condition) then I can see Subaru's justification for denial of warranty coverage of the motor. In this case, the fact that the motor was stock (and I presume properly maintained) works in your favor. 1) Seek counsel from an attorney who specializes in warranty/contract or automotive claims. Further investigation of the cause of the engine seizure will likely be necessary here and will involve considerable expense. 2) File a safety complaint with the NHTSA since having an engine seize during operation is a safety concern. 3) Spread word of this problem using the power of the internet (particularly Autoblog and Jalopnik). Last edited by Lonewolf; 05-29-2013 at 07:29 PM. Subaru refuses to authorize further teardown to investigate the ultimate cause of the failure. They've been asked several times, and refuse on the basis that the "vehicle was raced". Good luck dude, this is a tough one. Keep in mind as long as you own the car/motor, even though Subaru might refuse to authorize further teardown to investigate, you can. Did you specifically tell them or did they do the research? This is a very interesting thread. I feel badly for anyone affected by corporate greed, and by a car manufacturer not stepping up and doing the right thing. I had an 8 month old car turn into a fireball in a parking lot a few years ago. The engine wasn't even running. It took 2 years before the manufacturer admitted that there was a "problem" then sent out recall letters to over 230,000 owners telling them not to park their cars in their garages until they could have their vehicles inspected because they might catch fire. I really hope that engine issue gets resolved. If it happened to one person, that is one too many as far as I am concerned. Look into getting a lawyer-- that is what I did. It is difficult to take on "the man" by yourself. Also send registered letters to head office, CEO, company president etc. When my car exploded, I also mentioned I would be showing up at random dealerships and standing on the sidewalk with poster sized pictures of my burn't car. Rattle some chains-- don't take no for an answer. From experience-- they are hiding behind a lame answer and refusing to step up to the plate because there may be implications (larger than we can see) regarding the longevity and performance of the engine. It's easier for them to say that it isn't their fault, then pass the blame onto you than admit a problem and issue a recall once it happens to a dozen or so other people. I will be following this thread. Best of luck! They did their own research, but we don't exactly hide it with our youtube videos, etc. For example, try googling "mike kang brz"
What worries me is that it happened to him twice. Has anyone else experienced this? What can we do to prevent this? Is it a common problem? My FR-S apparently had sand in the engine block from the manufacturing process.. 7k mi later idle started dropping to 3k and i lost compression in one of the cylinders. Toyota reembursed my down payment. Hopefully i dont run into the same problem when i go to buy a new one after this deployment lol.. I put ten grand down. I hope there is sand in MY engine. Going to be following this thread closely. ps.. they tried to deny my claim, but after a month of arguments I had to deploy and left my father in charge of taking care of it. IDK what he did, but i got a $6k deposit back into my account. Apparently threats work wonders lol.